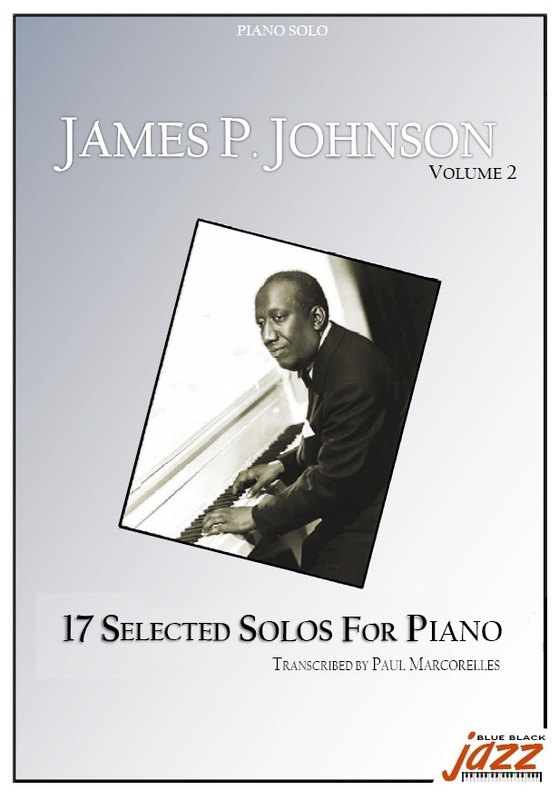 The pianist James P. Johnson created Stride piano by developing the game of the great Ragtime pianists in a less restrictive music. He started to play in bars, cabarets and rent-parties, and quickly became famous for his virtuosity and his compositions. 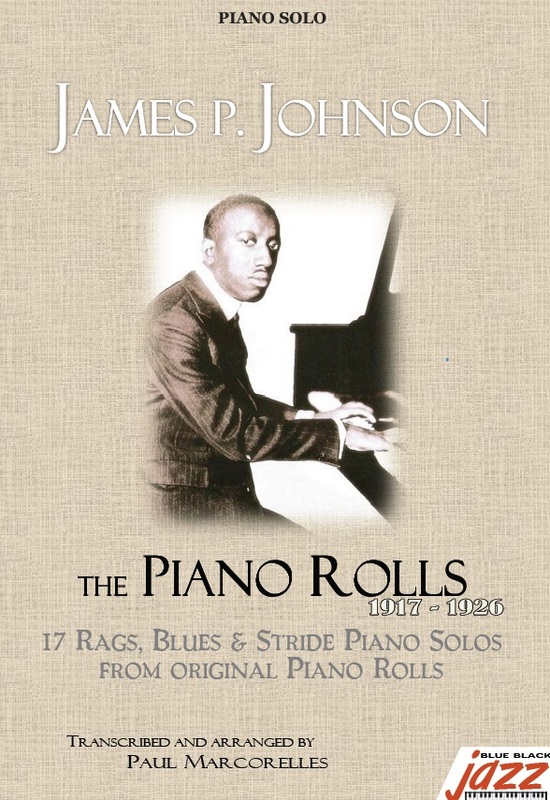 From 1916, he recorded and published piano rolls in a style which is no longer ragtime. With a revolutionary game, he used all the sounds he could play on the keyboard. 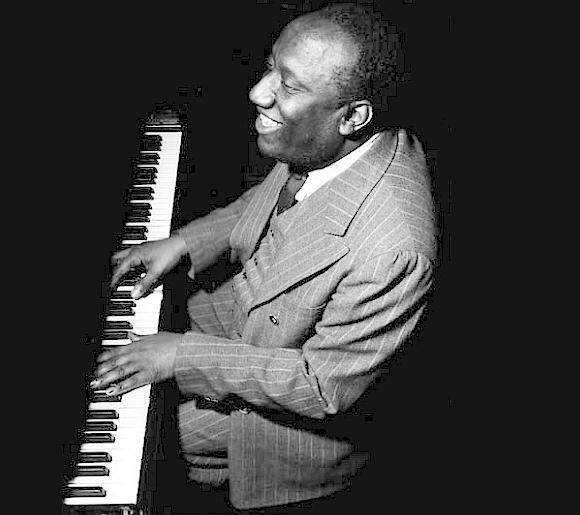 From 1921, he recorded his first Stride piano compositions where he mingled syncopations with blues notes. Carolina Shout is considered as the first recording of Jazz on a piano. 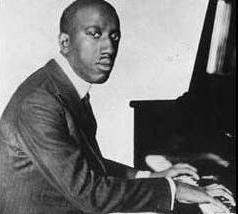 In the same period, James P. Johnson recorded with the greatest Blues singers and became Bessie Smith's favourite accompanist. Around 1919, he looked after the 15 years old Fats Waller whose mother had just died. During several years he gave piano lessons to the young boy and launched him then into an extraordinary career. For his part, he continued to record a lot of solo pieces or to accompany orchestras. James P. Johnson's playing can be recognized by his light touch and a rhythmic, almost percussive game. His dexterity and his unusual inventiveness make him a piano virtuoso, the first "real" jazz pianist whose musicality managed to grow over generations. It is already known since the late 1910s for his flawless technique, perfect mastery of the instrument will culminate in the 30 and 40. 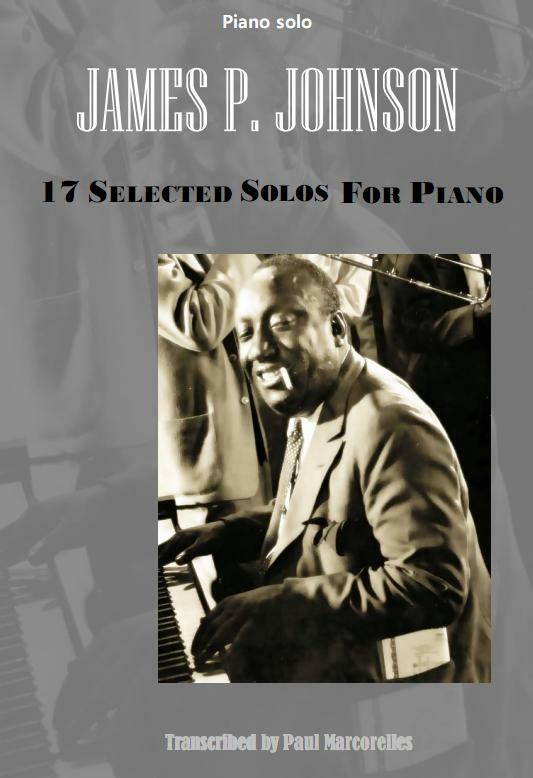 James P. Johnson played an important part in Jazz history. Thanks to him, Ragtime has evolved towards an improvised music free from rules. 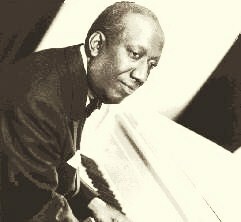 He left us a lot of compositions and standards like Charleston, one of the most recorded tunes in the 20's. Even so, he never received the recognition he deserved and died in 1955 nearly forgotten by everyone.